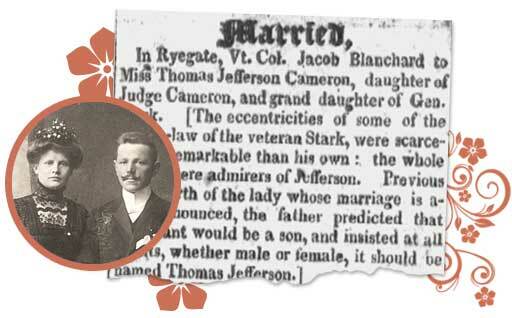 Find your ancestors' marriage records published in newspapers. Read engagement & wedding announcements, see bride & groom pictures and discover the stories behind your ancestors’ names. If you can’t find your ancestors by their first name, try the last name as well as maiden names. Use dates and locations to focus your search for hard to trace family members. Cross reference announcements of other families to check details and find information not included in other records. If you can’t find a record of the marriage, search for divorce notices to track down court records and/or a wedding date. Use the keyword search to find anniversary announcements. Search church newsletters and bulletins for formal announcements to wed.
Use military records including pension applications as an alternative marriage record. 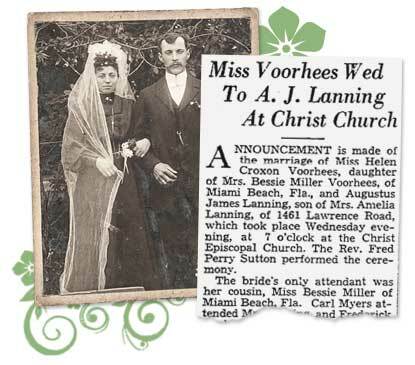 Newspapers routinely published engagement announcements, marriage records, and notable anniversary milestones from a wide surrounding geographic area. Although today, these announcements are typically reserved for socialites, celebrities, and political leaders, old newspapers can provide valuable details about your ancestors. Did you know that historically couples had to announce their intent to marry formally? This has evolved, but these formal announcements can often be found in old publications. For example, Marriage Banns (Bans) were announcements read in Christian churches for three weeks leading up to the wedding to allow time for anyone to object. Bans were published in church bulletins and sometimes the local papers. In addition, consent of the parents was also sometimes published in local newspapers. These records can provide clues such as if the bride’s father was deceased, the mother provided written consent. Besides wedding announcements, local newspapers often included lists of marriage certificates granted by the county. These lists can be a valuable starting point, however, not everyone who applied for and was granted a license got married. Wedding and engagement announcements in newspapers often include a photograph or etching of the bride-to-be or of the couple. Finding these engagement notices can be a real treasure, providing old pictures of your ancestors in their youth, at a time when few people took engagement photos. Marriage records give you names and dates to help fill in the missing details on your family tree, and also give clues to guide your family history research in new directions. Newspaper articles can provide an alternative to an official marriage record when tracing your family history especially if you’re trying to track down the formal marriage record. From a short snippet about the couple to a full article, newspapers archives provide a valuable resource. 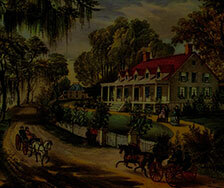 You’ll discover unknown stories of your ancestors from how they met to where they lived. As with birth records, marriage records are considered a vital records for family history research with details published shortly after the major life event. Use these records published in old newspapers to uncover the stories behind your ancestors - who they were and the lives they lived. Wondering how to accurately find marriage records? GenealogyBank’s expansive archive of over 9,000 newspapers covers over 327 years of news coverage on engagements and weddings. 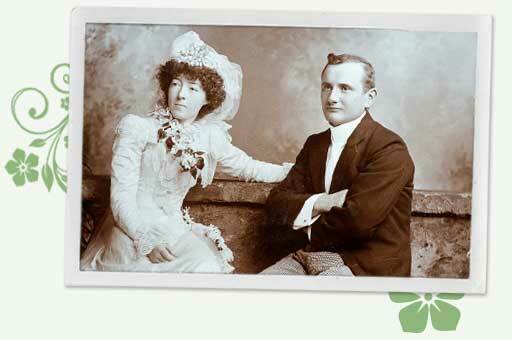 Search our online database and uncover your ancestor’s marriage records and engagement announcements.